As the year is winding down and a new one is just over the horizon, this is the time of year many of us spend in reflection. As you’re taking an objective look at what you’ve accomplished in your career over the last 12 months and where you’d like to take it in the next 12 or more months, you might come to the conclusion that it’s time to move on to something new. If you’re ready to search for your next adventure, keep reading for tips to make it a successful search. Early in your career it’s easy to resort to the “see what sticks” approach when you’re looking for a job, particularly if you’re feeling desperate to get out of the job you have. Whatever you do, don’t let yourself get to that point of desperation before looking for a way out. Now that that’s out of the way, here’s my argument for why applying to anything and everything is a bad idea: This early in your career, you should be focused on searching for jobs that do two things for you – strengthen your existing skills and help you learn and develop skills that you don’t have yet. Think about what you like about your current job and your strengths and keep those front of mind as you’re sorting through job descriptions and applying. If you’re spending time searching through generic “public relations” or “communications” results, opening, reading and applying to most, if not all, you’re wasting a lot of time. Focus your search on things you’re actually interested in and a potential good fit for, you’ll have more success in landing interviews and offers. Every new job you take shouldn’t feel like starting over or reinventing the wheel, but rather building on the career you’ve already begun. You may not feel like you have enough of a network to dip into when early on in your career. That’s common, but wrong. Think of all the things you are or have been a part of – your university, PRSSA, your sorority or fraternity, other on campus organizations, your hometown, etc. – and start there. 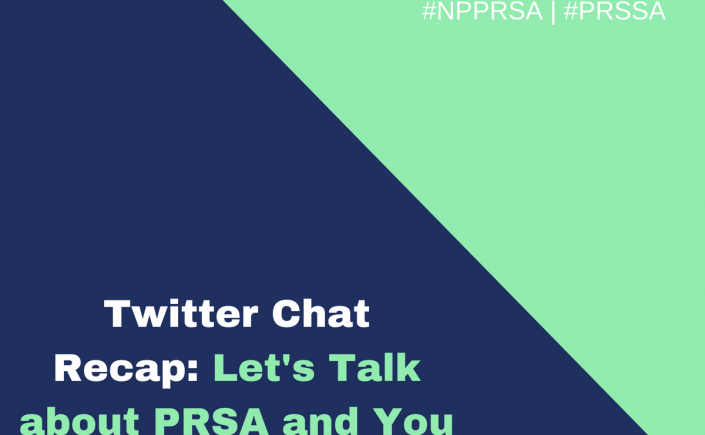 Look at alumni of your university, Greek organization and other organizations, and members of your local PRSA chapter for professionals in your field, doing a job you’re interested in or working at an organization and reach out. 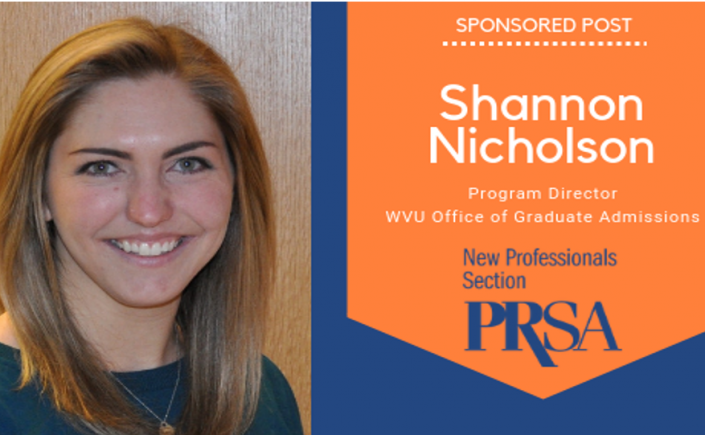 You’ll find that many professionals – even if you’ve never met them – are more than willing to help young pros get their feet in the door, learn and share their experiences and wisdom. Build your network by making these connections. Speaking of connections… So you’ve found some interesting people in your network and you’re writing that first email to them. “Hi, I’m looking for a job. Can you help?” is not the first email you should send to anyone. Instead, start building your network as soon as you can by cultivating relationships with others in the field. Schedule coffee or informational interviews with professionals to learn more about their organizations, their careers and to ask for advice on landing a job in your city. If you’re meeting for coffee, always, always, always pay for their coffee. It’s the least you can do. After your meeting, send a quick thank you note or email thanking them for their time and insight. You can also ask them for a follow-up or any lingering questions you didn’t get to ask. A thank you is non-negotiable and should be done promptly for every person who takes the time to interview you or meet with you to help you along in your career. Any time someone spends time helping you develop professionally, make sure to thank them with a quick, personal email or handwritten note, including a particular mention of something specific from the conversation. You’ve built up relationships with professionals in your network. Now you can ask them for help in your job search, with a couple of caveats. You cannot ask them to get you a job. You can ask them to introduce you to someone in their network. You can ask them for tips on interviewing. You can ask them for some insight into a job you’re applying for at their organization. You can ask them to share jobs with you that they see shared in their networks or that may come across their desks. Whatever favor you’re asking for, you must be direct and specific. Except for asking them to get you a job. As mentioned in #1, knowing what you’re looking for is the key to a successful job search and good, solid research is at the heart of that. Researching possible jobs will help you to determine what you’re interested in and would be the best fit for your skills. Researching people in the jobs you’re interested in, whether in the immediate future or further down your career path, will help you to nail down the skills you need to build and the achievements you should work towards. Researching the organizations you’re interested in – by scouring their website, scheduling informational interviews and making connections within the organization – will give you insight into the culture and what makes a successful candidate for possible openings, as well as helping you ace the interview when it comes time. I’m sure you’ve heard this time and time again, but it’s important to make sure your virtual self is an accurate representation of you. You should make a habit of auditing your social media and taking care to make sure you have a place on the web to showcase your work. Think of it as a Spring Cleaning for your virtual presence and do it with each season. When you’re job searching, it’s especially important to make sure everything that represents you is in perfect shape because that’s the first impression most potential employers will have of you, along with your resume. 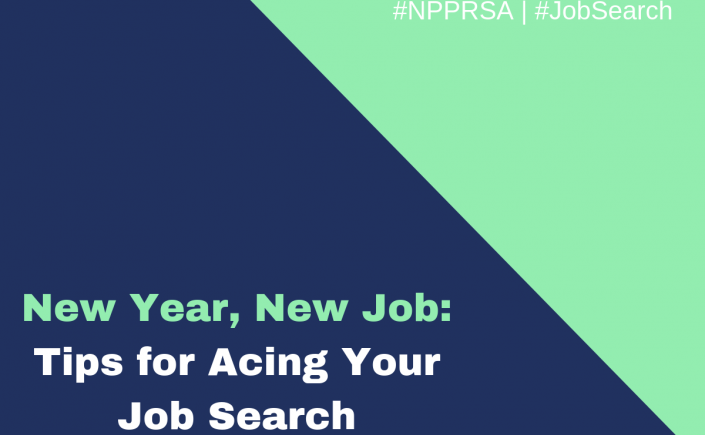 Finding and landing a new job can be a daunting task, whether you’re a new pro or experienced. Putting your best foot forward and making sure you’re as prepared as possible will help ease the stress and make sure your first job sets your career off to a stellar start. 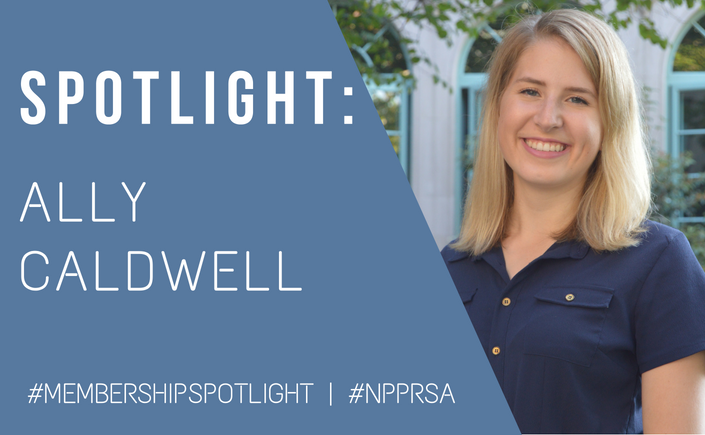 In her third year on PRSA’s New Professionals Section’s executive committee, Robyn serves as 2018 chair-elect. She’s a native of southern New Jersey and currently resides in Washington, D.C., by way of Pittsburgh and South Carolina. 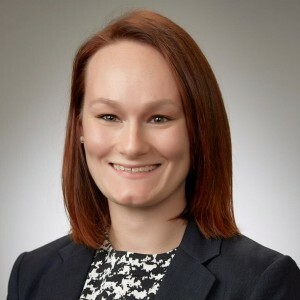 Robyn currently works for Airports Council International – North America (ACI-NA), a trade association representing North America’s airports, and holds a bachelor’s degree in Public Relations and a master’s degree in media arts and technology, with a focus on creative media practices, both from Duquesne University. She likes to spend her spare time cooking, reading, exploring, crocheting and spending time with her tail-less cat, Izzy. Learn more about her on her website or find her on Twitter & talk to her! When I graduated from high school, I originally wanted to study political science because I found the political process and campaigning very interesting. However, I changed my major to communications once I realized the additional doors it could open in terms of industry and scope of work. Once I began the upper-level coursework, I knew it was the right fit for me. I found my first few internships by applying through my university’s job portal. However, I found out about the internship that led to my current job through my network. A good friend put me in touch with my eventual supervisor – I interviewed and got the internship. Change is hard. One of the biggest challenges in my career was making the initial leap from school to my career. There was no longer a clear path. While school provides many opportunities and options, it’s fairly straightforward in terms of the timeframe and milestones. In my career, I had to decide where I wanted to be, what I wanted to be doing, what other activities and organizations I wanted to be a part of. And the scary but exciting part is the fact that I can change my mind at any time. I am still asking myself these questions. Experience is crucial – and getting experience while in school is big advantage. 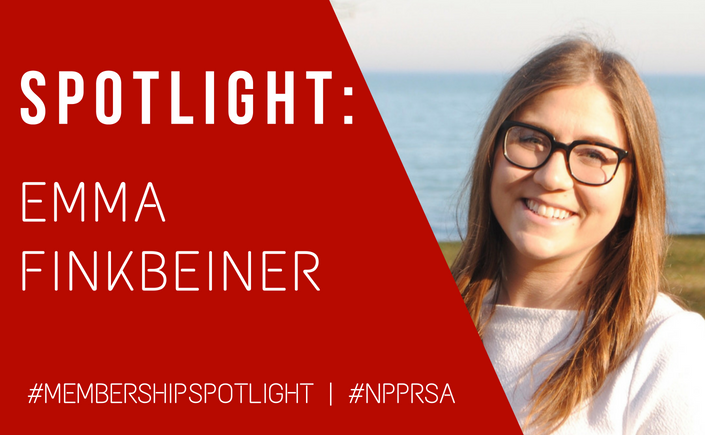 I am thankful for my internships and relevant job experience because it ultimately led to me to where I am today. Anything I’ve learned that is tactical has helped me immensely – such as writing, event coordinating, and public speaking, among others. “You can’t fill from an empty cup.” Whether you think you have time for it or not, self-care is very important! And it’s something I am still learning to prioritize. Follow your interests. If you are interested in traditional PR and media relations, pursue it. If you are interested in social media, look for related opportunities. I have students call me, email me, send me resumes, but the people that stand out are the people who have a clear interest. It’s really hard to help someone who doesn’t know what they want and what they are interested in. But always keep in mind that your interests can change at any time. You’re not locked in. I love being able to connect with my fellow PR professionals from across the country. It can be easy to get caught up in the day-to-day, so meeting people is always a fun way to take a break from the norm – and meeting people from hundreds of miles away is even more fun, especially since they can share in many of the experiences. You don’t have to have all the right answers. After I graduated college, I thought I had to know everything and so I put a lot of pressure on myself to learn everything I possibly could to keep up with my peers. It’s great to learn and it’s great to set goals, but don’t be afraid to admit to not knowing something. It’s impossible to know everything!